So, you run a gaming channel on YouTube and looking for perfect microphone for good commentary?Here we have something for you.Today we are here some of the best microphone for YouTube gaming. By going through this article, you will learn why you need such a device and also about some of the best devices. In the end, I have added a buying guide to help you choose the best one for you. Why Need a Good Microphone in YouTube Gaming Channel? If you own a YouTube gaming channel then you know how important the sound quality is for a video. Without a good sound quality, your video will not be engaging as you have expected. 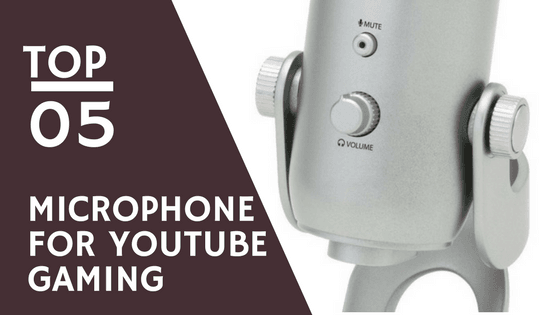 Also good sound quality attracts more audience and this will help to make your channel more popular. So in order to get a good sound quality in your video, you should have a good microphone. Such microphones will help you to have a good sound quality while vlogging and so you will get the expected results. The condenser capsule is the most important part for a microphone. Because it helps to record clear sounds. The Snowball iCE Microphone can be considered as the best microphone for YouTube commentary because of the custom condenser capsule. This device has other useful features that you can find below. Clear sound is one of the most important parts of gaming commentary. The Snowball iCE Microphone has custom condenser capsule that will help you to have crystal clear audio. 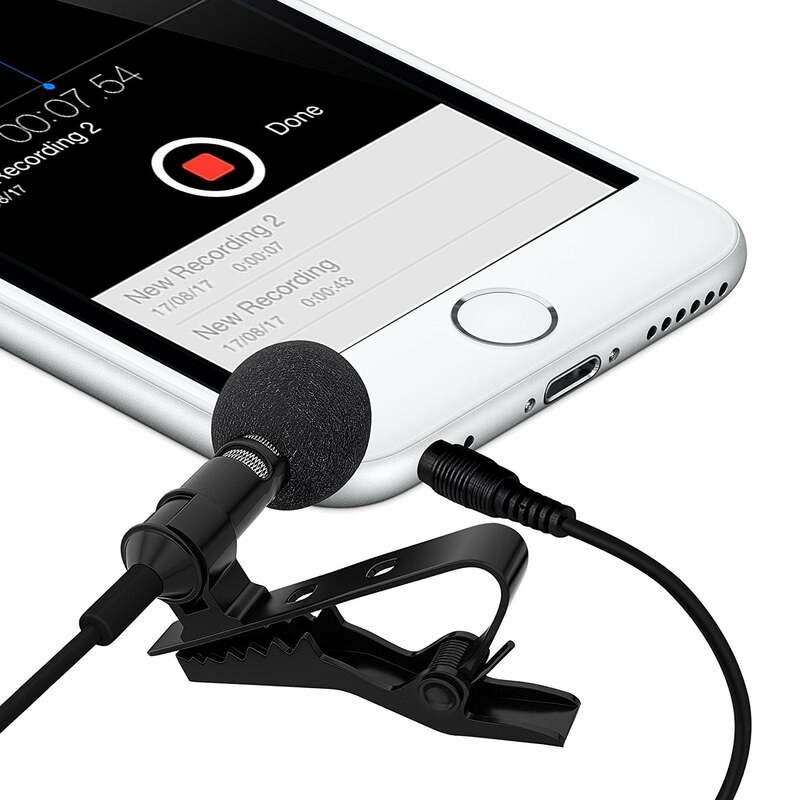 This product will help you to record vocals as well as add narration to the videos you record. You don’t have to install any driver software in order to connect this device. You can simply plug it and use it directly without installing a driver. The Snowball iCE Microphone comes with a stand that will allow you to keep the device steady. This is helpful for having a good sound quality. Records voice without recording background humming. No driver installation is necessary. Custom condenser capsule makes the audio crystal clear. USB plug for an easy plugin. Contains stand for steady recording. The metal prongs on the back are bendy. Only one pattern for sound recording is not enough sometimes. Multiple patterns help a lot in this case. 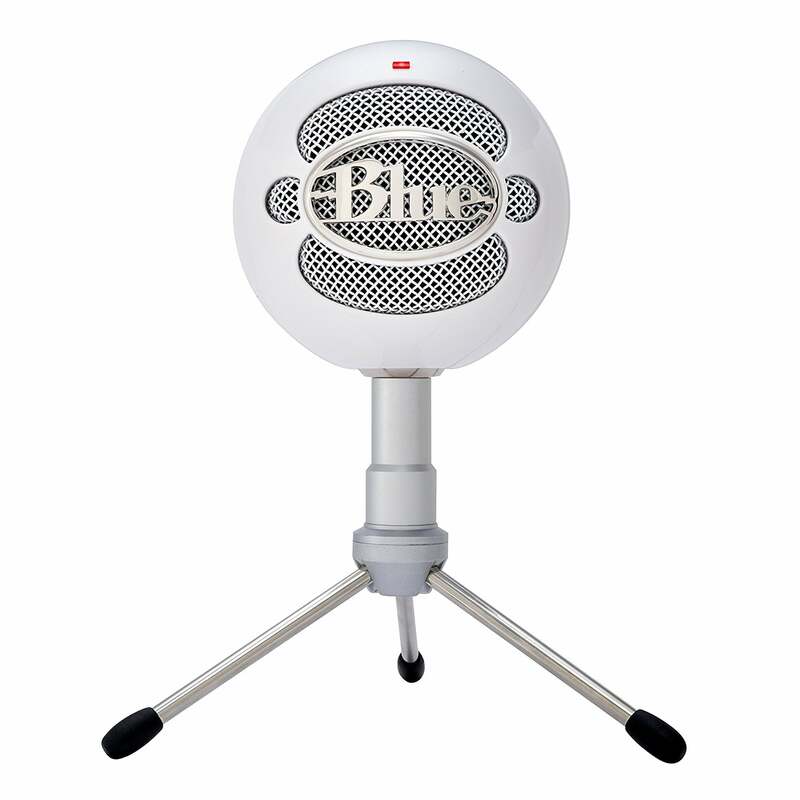 The Blue Yeti USB Microphone is the best microphone for YouTube when it comes to patterns. Let’s see its other features. Multiple condensers are better for good sound quality. 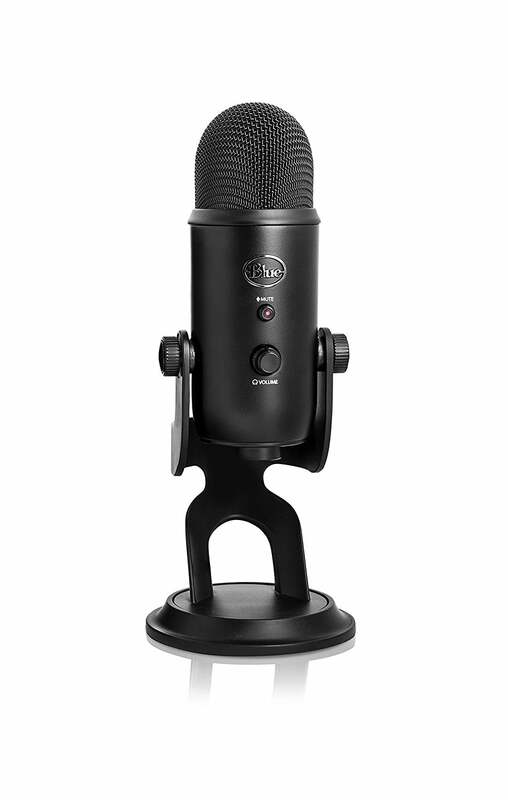 The Blue Yeti USB Microphone provides three condenser capsule. So you can record almost any situation. You can select multiple patterns with this device. For example, you can choose bidirectional, cardioid, omnidirectional or stereo. Only 64 MB of ram is required for this device. So you can see that how fast and smooth this can work on your PC. The Blue Yeti USB Microphone provides a mute button that will help you to mute your recording easily without completely stopping it. Three different condenser capsule for better sound. Multiple patterns for recording different sounds. Comes with mute button and zero-latency. Gives a great quality to podcasting. 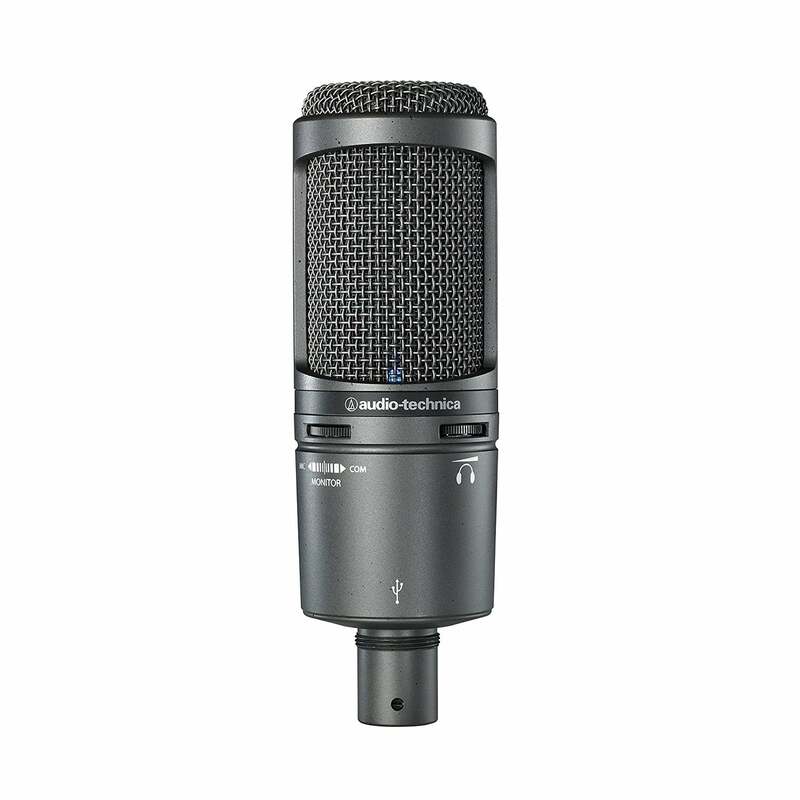 Sometimes while doing commentary you have to focus on the audio sampling as well.For this reason, you shou ld choose the Audio-Technica USB Microphone. This is one of the best microphones for YouTube commentary when it comes to audio sampling. To find out more about this product you can proceed through this review. A/D converter plays an important role when it comes to audio recording. The Audio-Technica USB Microphone comes with an A/D converter of high quality and the sampling rate is 44.1/48 kHz. The headphone jack of this device comes with a volume control that allows you to keep track of the recording volume. A feature is included in the microphone called mix control. This is very essential for YouTube commentary as it can blend the signal of your microphone. There is an amplifier inside the headphone. Because of this, you will get more detail sound and nice music quality. A quality condenser for better sound. Includes an A/D converter for audio sampling. Gives direct playback with an onboard headphone plug. Setting up to the PC is very simple. Less room tone and more voice tone is recorded. While doing YouTube gaming commentary you may need a small mic with a clip sometimes. This allows you to move freely as the mic is attached to you. The Miracle Sound Deluxe gives you this amazing benefit. This device contains other wonderful features as well. Let’s check them out below. For a quick transient response, the Miracle Sound Deluxe uses a special condenser mic. So you get a smooth bass without noise and slickness and clear high pitch. The condenser is omnidirectional. This provides high sensitivity and low noise handling. You can get a case to keep the mic safe. You will also have a clip with it that will help you to put it attached to your shirt or anywhere else. This device is very ideal to record sounds with a videography as it comes with a special wind muff. Simple plug n play technology. Usage of RecForge 2 gives amazing sound. Comes with a metal clip. Suitable for interviews for the clear voice sound. May not work on some mobile devices. Sometimes a commenter uses an iOS device for the gaming commentary. In this case, all the microphones are not equally suitable. But the Rode VMGO Video Mic GO is specially designed for such device. By going through this review you will learn more about this product and know about some amazing features. So let’s get started. The Rode VMGO Video Mic GO is a compact microphone with TRRS cardioid. It is designed especially for iOS devices. 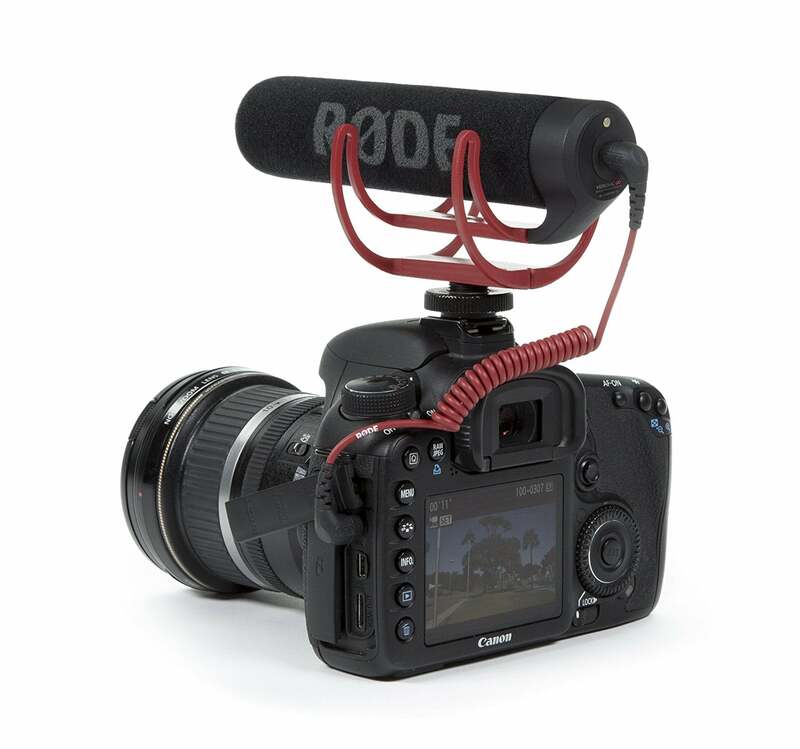 This device is a high-quality directional mic that is very easy to connect to your video device. The headphone output is 3.5 mm allowing it connect smoothly to the other devices. A good noise level is always better for video commentary. The Rode VMGO Video Mic GO gives an equivalent noise level. That means it captures and processes the sound in such a way that you won’t have to edit the sound later. No external power is necessary. Just plug it in the device and it will ready for service. Wind sheer is not a problem with this device. Off camera usage available with a simple setup. Compact and lightweight for easier use. Works smoothly in ambient noises too. Captures good sound from a fair distance. Rough usage may break the power button. After researching and collecting data from many sources I have gathered some information that will help you to find the best microphone for YouTube gaming. This is a guide that I have created from my research. The following are the things you should know in order to choose the best product for you. So let’s get started. First of all, if you are new to the recording, you should consider buying a low budget microphone. First, learn to use it properly then increase the budget. On the other hand, if you are a pro then you can choose the one with a high budget. As a YouTube gaming commenter, you don’t need to put up with the difficulties of XLR connectivity. Simply choose a USB plugin system and you will do just fine with this. As I have stated in the review above, the condenser is one of the most important parts of a recording. Because it helps to get a good sound quality. So choose it carefully by going through the specifications. Finally, you should focus on the other accessories as well. Such as, choose a microphone with a mic stand. It is very necessary. Also, see if the microphone you choose has pop filters and audio interference. Now it will be much easier for you to the best product. Because you know about the steps you should follow. I hope this guide will help you to get the right product for you. So, now you have learned about the best microphone for YouTube commentary. The microphones above are some of the best because of their own special features. So you can choose one according to you’re the primary feature you need. Also, you have learned how to choose the best microphone. So now it will be easier for you to choose the best one. You can follow the steps above to get the Best Microphone for YouTube Gaming in the market. I hope this article was helpful for you. Thankfulness to my father who told me concerning this webpage, this web site is actually awesome.